The fathers in our lives are our very own homegrown heroes. Whether they are working long hours and then coaching baseball, pretending to be Darth Vader, or wearing a crown at a tea party, dad’s deserve to be celebrated for all they do. Rarely asking for accolades, all of our fathers work tirelessly for their families and make us feel safe and secure. 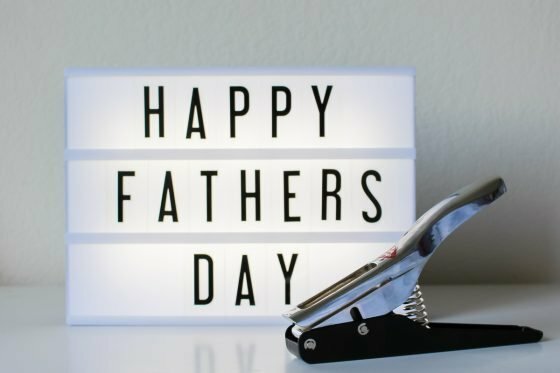 Dad’s come in all different shapes and sizes, and whether the father figure in your family has an outgoing and exuberant personality or a quiet and understated demeanor, we have compiled some of the Top Gifts this year, ensuring you will find the perfect present this Father’s Day. Do you know a dad still traveling with an old duffle bag and backpack? That needs to stop! 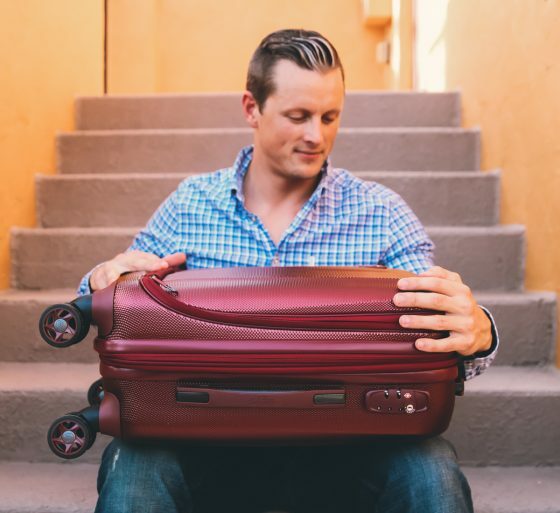 Surprise him with one of the best sets of luggage available: Vantage Smart Luggage. 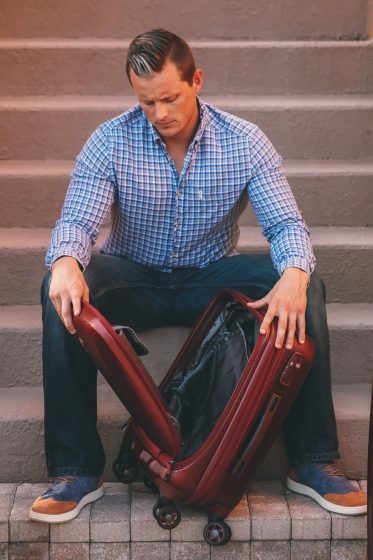 Make traveling more organized and less stressful for Dad with the Vantage Smart Luggage 3 Piece Set. These suitcases are game changers. This three piece set of hard sided bags have accessibility and organizational features that no other case has. The set includes three sizes: 30″ x 19.75″ x 12.25″ | 26″ x 16.25″ x 10.25″ | 21″ x 14.5″ x 9″. 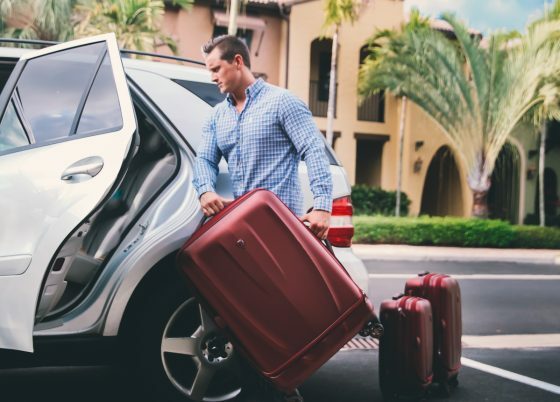 Unlike traditional hard sided suitcases that only open in the middle so that you pack one side at a time, the Vantage Smart luggage also opens from the front, allowing you to pack the entire front compartment. When you do open the center zipper, you can pack the lower section as well. Use the removable divider if you want more compartments or take it out if you need a larger, more open space. 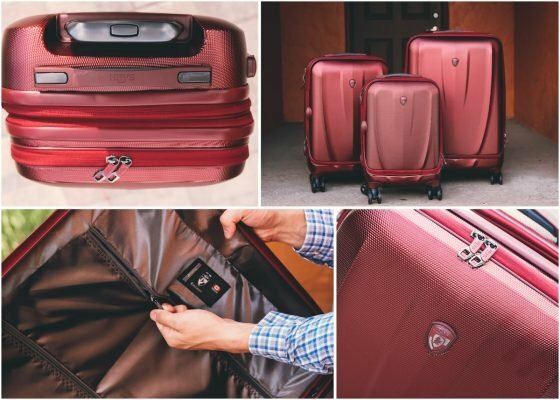 The Vantage Smart Luggage 3 Piece Set features satin lining and compression straps to keep everything neatly compartmentalized. This makes traveling so simple. Dad won’t lose his stuff inside his suitcase. There is a place for everything, and everything will be in its place! The removable divider features zippered pockets for smaller items. Dad will love the carry on bag. There is a dedicated padded and lined compartment for his laptop that is accessible from the front of the bag without opening it all the way up and spilling out everything else, making going through security at the airport a breeze. All three sizes have the zipper expansion system to give Dad more or less room as needed. When unzipped, the packing space increases by twenty percent! Another amazing innovation are the water resistant, reverse zippers to deter moisture and protect Dad’s belongings from the elements. 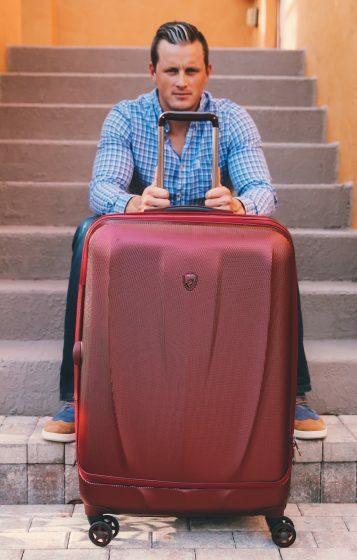 Dad will walk anywhere with his Vantage luggage effortlessly with the smooth wheels that distribute weight evenly and turn 360 degrees. The gel infused carrying handles are very comfortable, and Dad knows his stuff is secure with the TSA approved locks on each piece as well. The trolley system on these suitcases is lightweight and telescopic, long enough to keep even tall dads happy. 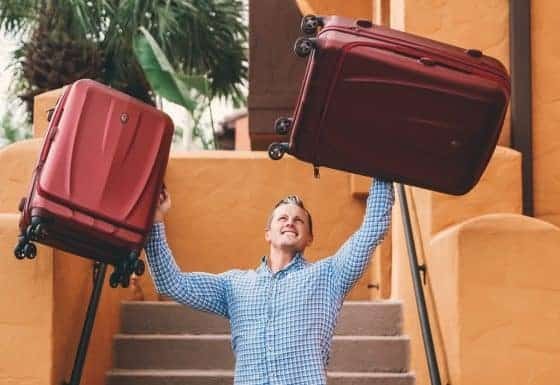 No matter how much the baggage carriers throw your bag around, it is coming out in one piece because Vantage Smart Luggage is made of the same polycarbonate used to make bullet proof glass. This luggage is highly functional and extremely fashionable at the same time. 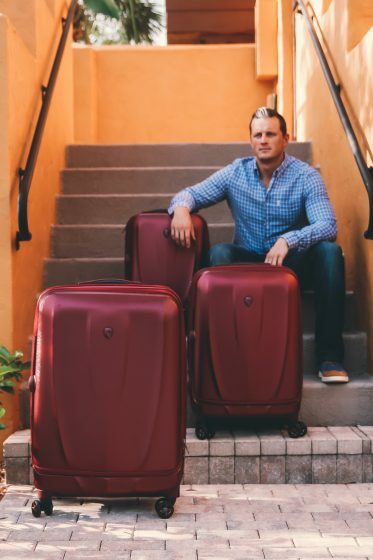 Heys has been a leader in travel innovation for 30 years now, and this company continues to produce amazing luggage and travel accessories that well seasoned and occasional travelers can rely on. Their luggage is known for being luxurious, fashionable, functional, and lightweight. You can set your entire family up for organized and comfortable travel with Heys. They even make bags for kids that are just as amazing as their full size counterparts. Heys strives for and achieves excellence in design for luggage, both aesthetically and functionally. When you need a new suitcase, this is the company you should turn to. Dads love their cars, and truck dads seem to take especially good care of their cargo-hauling babies. But the bed of a truck isn’t always the safest place to keep precious cargo since anyone can reach in and grab what you leave in the back. 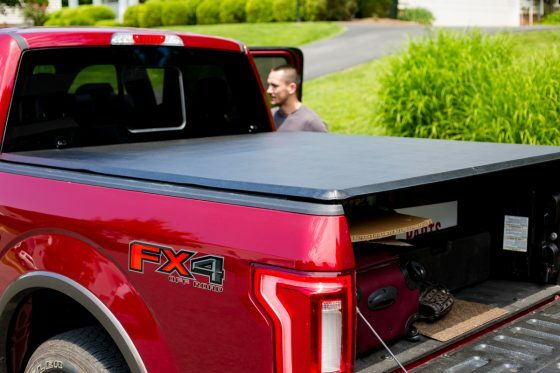 A truck bed cover that keeps your goods and your truck protected is something that the truck-loving dad in your life would love this Father’s Day. Truck bed covers are something that dads can be particular about, but luckily for the gift givers, there is RealTruck. RealTruck offers a plethora of truck bed covers that are designed to meet the specific year, make, model, and size of your truck as well as the consumer’s particular needs. One of their best selling truck bed covers is the Gator Tri-Fold Tonneau Cover. 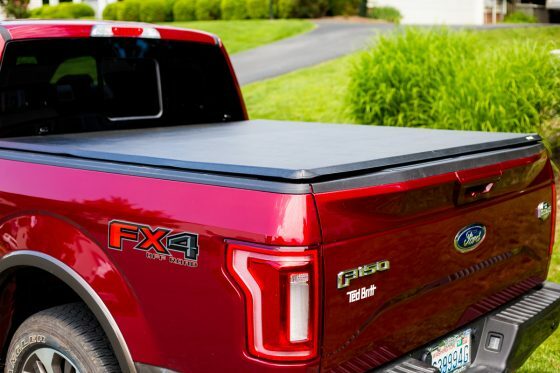 The Gator Tri-Fold Tonneau Cover is made from a tear-resistant vinyl that not only protects what is inside your bed, but also gives your bed a sleek finish on the top. The weather seal ensures that no elements – rain, snow, wind, or dirt – will get inside the bed when the cover is completely closed. The additional tailgate seal helps to cover the tailgate as well, giving you additional assurance that your cargo is kept safe, clean, and protected. 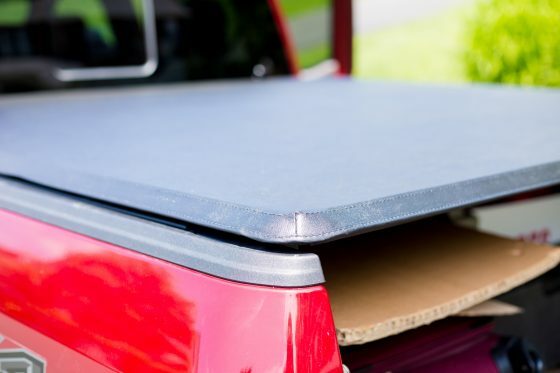 One of the best things about having a truck bed cover, besides protecting things from being taken while you’re not in view, is protecting your bed from heavy snow, rain, and debris. After all, nothing is worse than having to dump several inches of rain or shovel several feet of snow out of your bed after a storm. 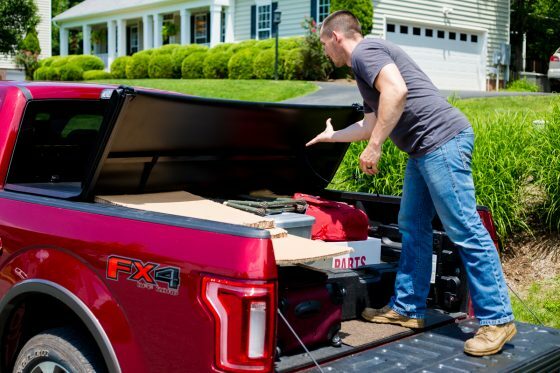 The Gator-Tri-Fold Tonneau Cover has support bows that help keep the cover in place even when heavy precipitation piles on top – this way Dad can spend his time shoveling the driveway instead of the inside of the bed of his truck. Even when the Gator Tri-Fold Tonneau Cover is a full bed cover, it is easy to access what’s inside whenever you need. 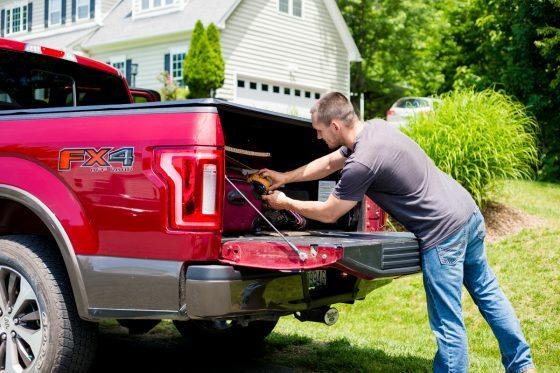 Your items are safe inside when your tailgate is locked, but when you need to get inside you simply unlock the tailgate and unlatch the cover from the inside on both sides. 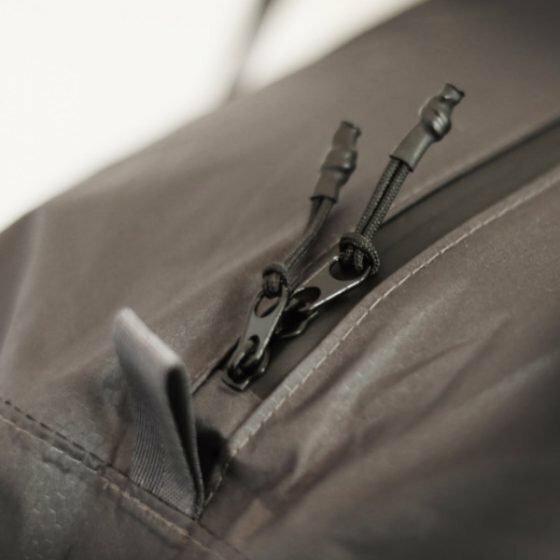 Once the cover is unlatched you fold the cover back one or two times, depending on your needs. If you need to drive with the cover open, you simply secure it down with the fastening buckles. If you aren’t sure if the cover you are looking at will fit Dad’s ride, RealTruck will take out the guesswork. Each cover can be verified to see if it fits your truck on their website, making it easy to order the right cover for Father’s Day. 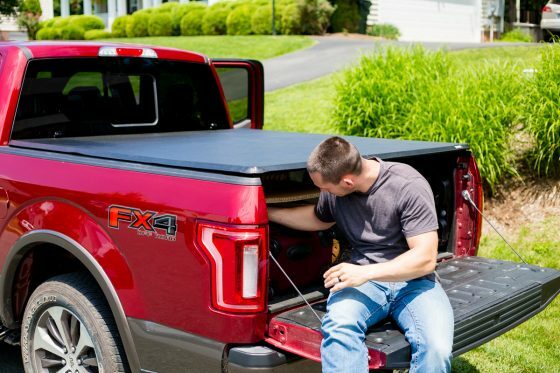 Truck-hauling dads will love having a new accessory for their truck, especially one that protects from the elements and hides their cargo from unwanted passerby’s. RealTruck is one of the top online retailers for truck bed covers. They are passionate about what they do, and they offer top of the line products from companies such as Gator, Retrax, Extang, Under Cover, and more. They offer a simple and fast shipping process with unparalleled customer service that will ensure you get the bed cover you need and want. RealTruck wants you to love your bed cover just as much as they love what they do, and they will go to all lengths to make that happen for their fellow truck-loving drivers. They are a U.S. based company, and have won countless awards for their passionate stance on revolutionizing the truck accessory industry. Between work, family, coaching sports, and dance recitals, dad’s are always on the run trying to juggle it all and be an ever-present father. Help the dad in your life get or stay organized this year with a new minimalist planner and notebook from Nomatic. Planners and notebooks are so often designed with mom’s in mind, but this year we have found the perfect unisex planner and notebook for Dad. Keep Dad on-time and up-to-date with both work commitments and family engagements with the Nomatic Planner. Featuring both a monthly and weekly planner, daily goal section, goal mapping, to-do lists, and effectiveness charts, Dad can map, plan, and organize everything from his business goals to the family vacation. Sporting an innovative design to organize and improve your life, this planner includes whiteboard paper for easy erasing and plan changes, dual elastics for a stay-shut design, a back pocket, and integrated pen holder. Start or keep Dad on the road to success by getting him organized this Father’s Day. 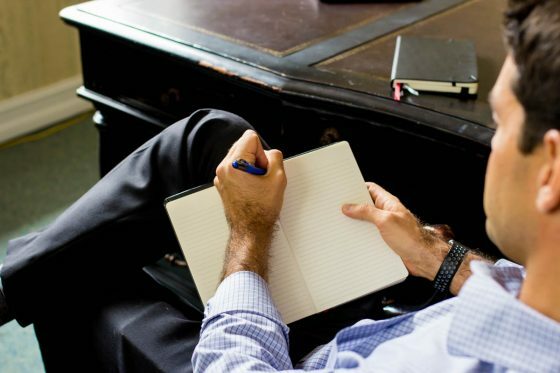 If your dad is more of a dreamer than a planner, a writer, or simply likes to jot down his thoughts, the Nomatic Notebook would be a perfect gift this year. This super-functional notebook featuring whiteboard paper for easy erasing, lined pages, blank pages, perforated pages, dual elastics, 3 ribbons, a back pocket, and an integrated pen holder is perfect for on-the-go notes, musings, or long-term business plans. 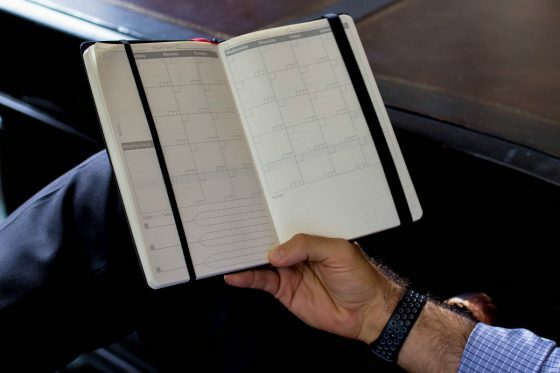 Simple enough to take anywhere he goes, Dad can carry this notebook with him ensuring he never loses an important thought or idea in the juggling act of work/life. Available in Black or Mint, the Nomatic Planners and Notebooks are simple, stylish, and convenient. 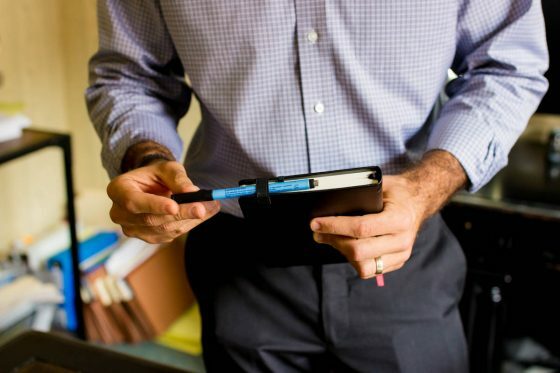 Finally, make sure to pick up one or a few Staedtler Lumocolor Correctable Whiteboard Pens to accompany Dad’s new Nomatic Planner or Notebook. This pen is perfect for writing, sketching, or graphing on the included whiteboard paper. Smear and smudge resistant, this pen only erases when you use the felt eraser on the top of the pen, ensuring that all Dad’s thoughts and plans stay put while stored safely in his Nomatic Notebook. In celebration of all parents out there, Nomatic would like to offer our Daily Mom readers a generous promotion code for use on any Nomatic Notebook or Planner. 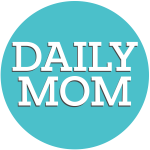 Enter the code ‘DailyMomWSL’ for 20% off this Father’s Day! 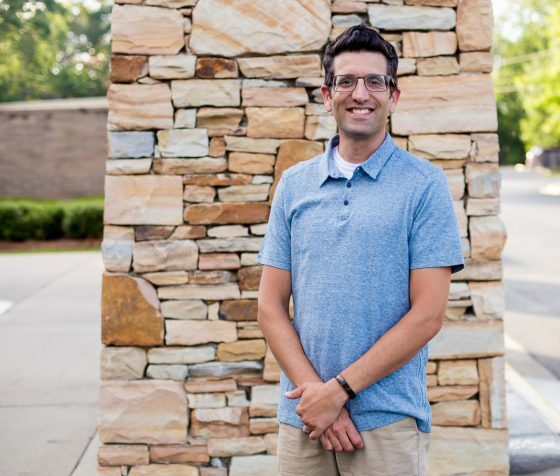 Founded by Jacob Durham and Jon Richards, Nomatic is a company born of two cousins going back to the BASICS. Striving for simplicity and innovation in their products, Nomatic began in 2014 with the design of their BASICS wallet. During the wallet’s conception, the cousins spent many hours pouring over their notebooks, inputting data, crunching numbers, and drawing and re-drawing their designs. From there a second product was created and the cousins haven’t stopped since. Products include wallets, notebooks, travel bags, and backpacks all designed for ideal organization and use in everyday life. If the dad on your shopping list needs to get out the door a little faster in the morning, he may need a new way to shave. The Philips Norelco Shaver Series 9000 will change his morning routine for the better. Shaving has never been easier thanks to the Philips Norelco Shaver 9300. 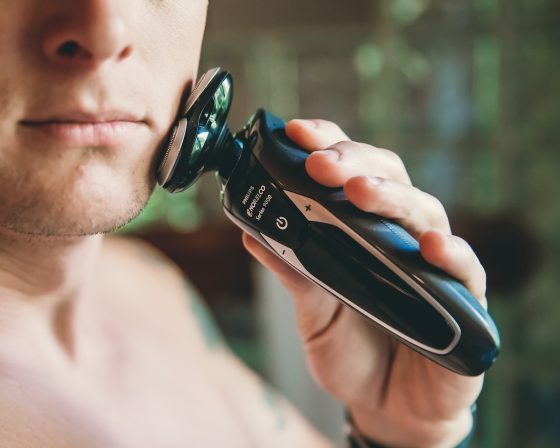 This electric shaver will give Dad a close, smooth shave. He will save time in the morning and save his face thanks to the shaver’s protection. This is the future of shaving. It has three shaving heads, and their contour detection technology allows them to flex independently with Dad’s face. He will shave more efficiently and will have less nicks and cuts. Hair is cut in eight different directions simultaneously! The super lift and cut action gets hair below skin level. This shaver is seriously amazing. Philips Norelco is the only brand you need to know about when it comes to men’s personal grooming. This world renowned company creates technologically advanced shavers, hair trimmers, and more. 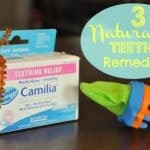 In addition to shavers and trimmers, they offer products for dental health and products just for women. You can trust that Philips Norelco is always ahead of the curve when it comes to personal care technology. 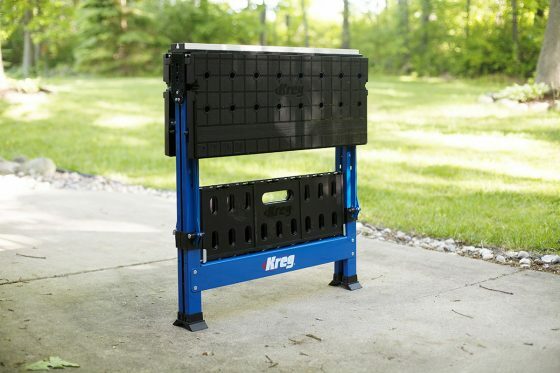 If your dad loves to DIY, he probably already loves Kreg. They keep their tools simple and make wood projects less cumbersome and intimidating. Your dad may love hands on projects, but if he doesn’t have a lot of space to get things done, the Mobile Project Center might be the perfect gift for him. With it, he can make any place his workspace and work on projects wherever he needs to. 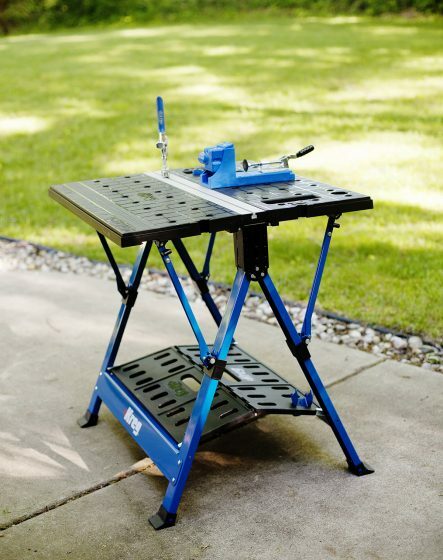 This work table sets up and locks into place quickly, giving Dad a 27″ x 31″ work area. The heavy gauge steel legs give it a solid foundation. 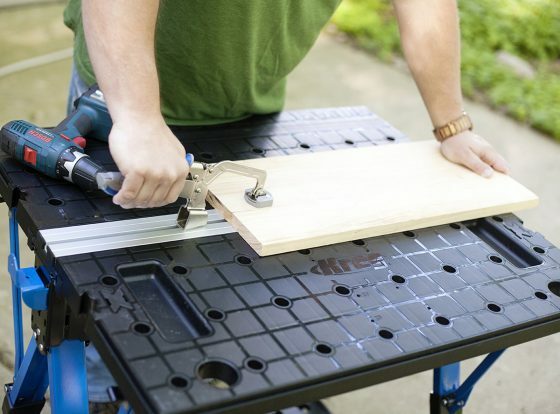 The included Kreg Bench Clamp comes in handy for holding his projects in place. One of our favorite features is the built-in storage trays to hold hardware and other parts that Dad wants to keep in place. The table locks into place. When Dad is finished, the table has easy release tabs for quick breakdown so it can fold up and be on the go in seconds. It folds compactly for easy storage. 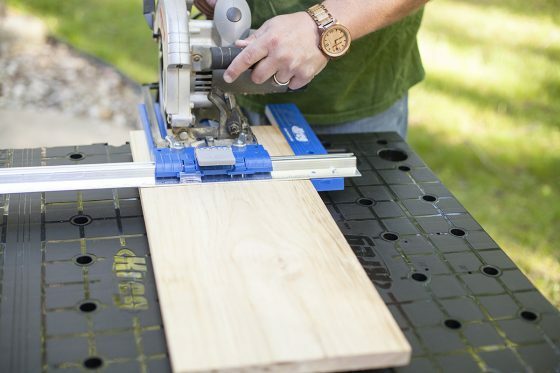 Another must-have tool for Dad is the Kreg Rip-Cut. It helps make straight, accurate, and repeatable cuts by connecting to a circular saw. 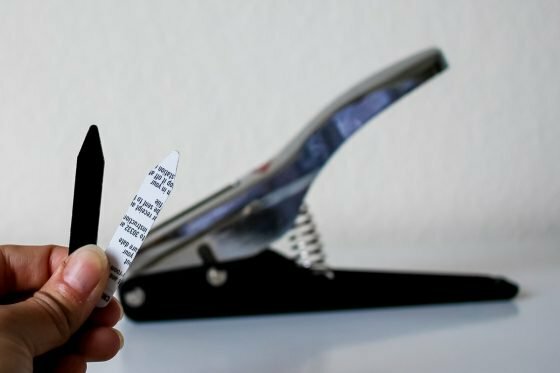 It can help cut materials up to 24″ wide without measuring or marking! 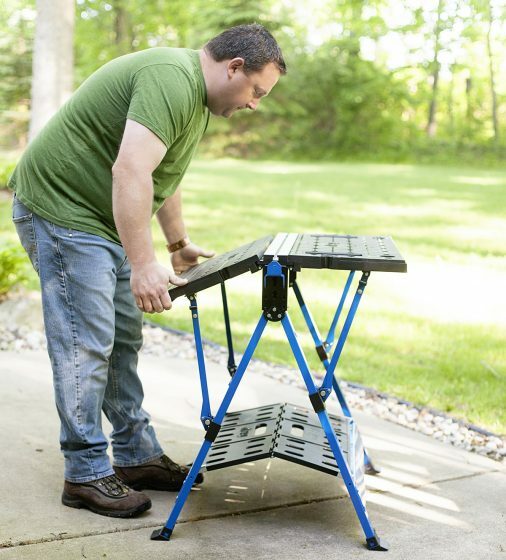 It’s lightweight and sturdy, making it as portable and handy as the Mobile Project Center. In 1986, Craig Sommerfield developed a great product idea when two disciplines – woodworking and metalworking – collided. Kreg tools emerged from that collision and is now the leader in pocket-hole technology. From jigs to fully-automatic machines, Kreg offers simple solutions that have changed the way thousands of woodworkers join wood and offers other innovative tools for clamping, joining, routing, cutting, measuring, and more! Perfect for the Dad outside by the water all summer. Give Dad’s style an upgrade with some new shoes this Father’s Day. 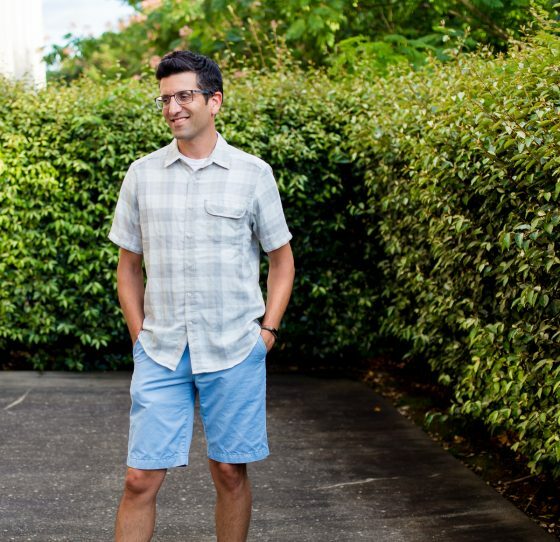 He needs some cool kicks for summer and he will be channeling the spirit of Hawaii in shoes from OluKai. Dad needs a pair of shoes to wear everyday that are stylish but comfortable. Get him the OluKai Nohea Moku. He will channel his inner surfer style in these shoes. They are perfect for summer since the pair well for shorts. These shoes are designed to be worn in wet conditions so Dad can even wear them near the beach or pool. One cool feature is the stretch bootie construction for barefoot wear. 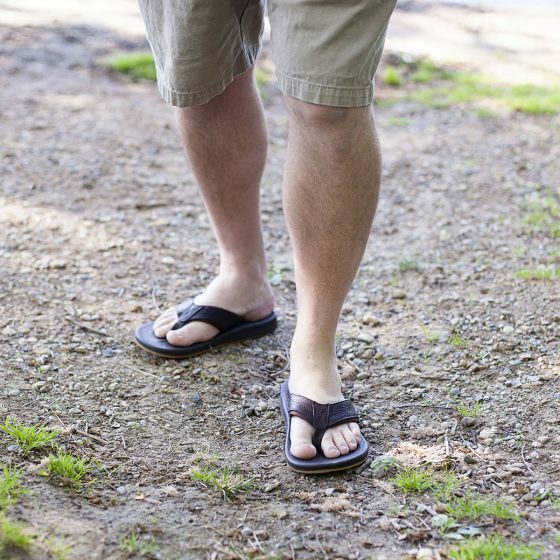 The also have OluKai’s Drop­-In Heel® which means he can slide them on and off as easy as a pair of sandals. Some guys don’t like wearing sandals and these shoes are a perfect solution for that. They are water resistant, dry quickly, and even have medial water drainage ports. Available in eight color combinations, there is sure to be a pair that will work for any dad on your list this Father’s Day. 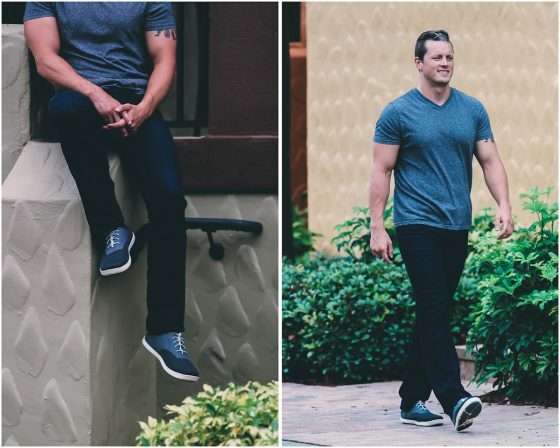 For athletic shoes that actually look amazing on, get Dad the ‘Eleu Trainer from OluKai. This trainer is anything but ordinary. This shoe is amphibious, meaning it performs on wet surfaces and environments as well as dry ones. It is a lightweight shoe with a sticky-rubber outsole to increase wet surface traction. 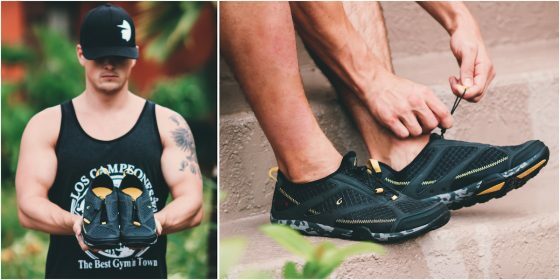 Dad’s feet will feel amazing in these shoes with a traction pattern that follows the natural foot-strike. The ‘Eleu Trainer is flexible, available in two color combinations, black shown here and a grey. The toggle tie keeps these on tight no matter what and if they do get wet, they are designed to dry quickly. 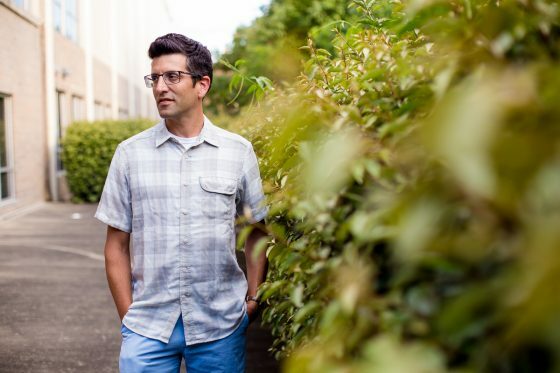 OluKai shoes are specially designed to be a better class of products for a relaxed lifestyle, built with strong values and roots in style, craftsmanship, durability, and comfort, from heel to toe. 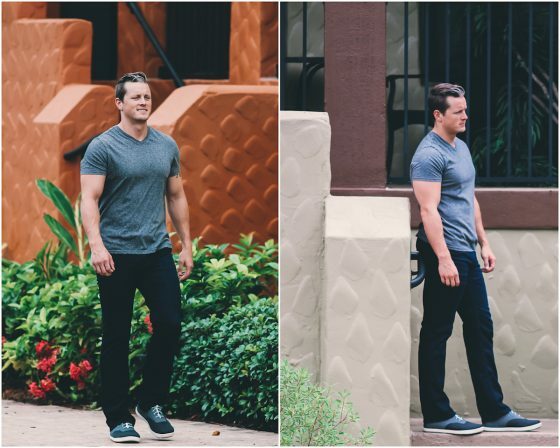 OluKai uses the highest quality materials, true fitting lasts, and anatomical footbeds to give you the perfect fit and all day comfort. OluKai footwear is guaranteed against manufacturers defects for one year from the date of purchase. Dads often put their own needs last and their wardrobe falls flat because of this. 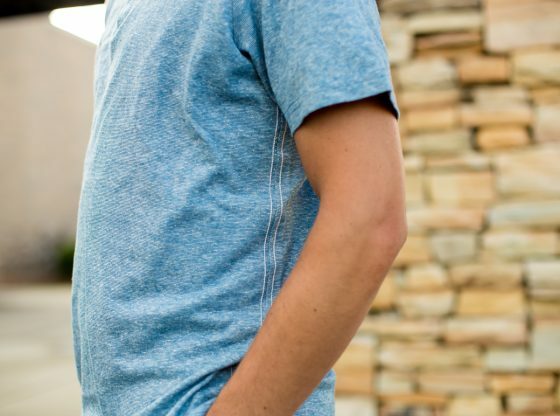 Help Dad out this Father’s Day with some amazingly comfortable and stylish clothing from a company that cares how its products impact the world, Nau. 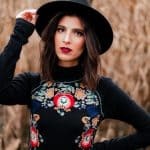 Nau creates fashion that is safer for our environment and actually improves things for people all over the world. 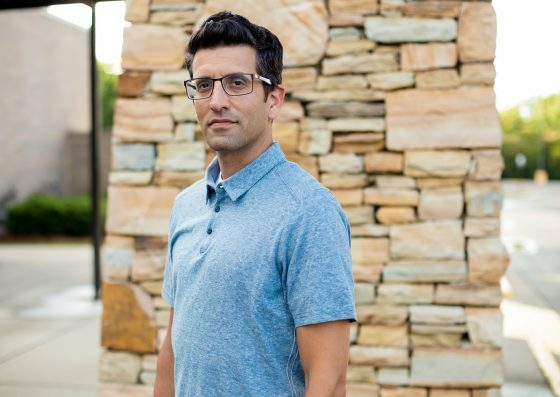 This socially and enviromentally conscious company offers fashionable yet functional clothing for men and women. Surprise Dad with some new threads this Father’s Day. Their shirts make a perfect gift. 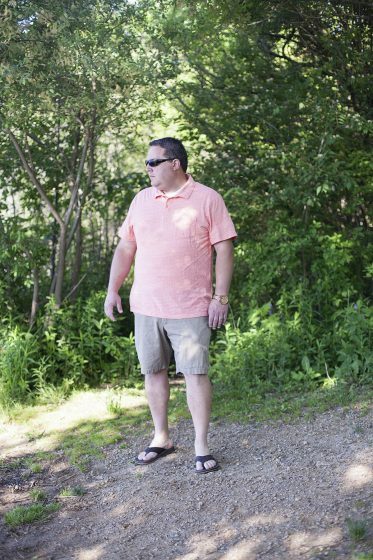 For the ultimate weekend shirt, get Dad the S/S Kanab Polo. 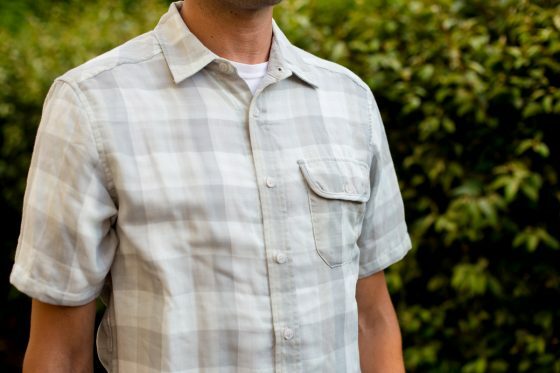 This is a timeless shirt that any dad will want to wear over and over. Nau makes it better though. It is incredibly breathable, a definite plus for the summer that is upon us. Made of sustainable hemp and organic cotton, it is soft and just stretchy enough to ensure a stylish fit. It features a heathered texture and is available in four colors. The Pacific Heather is shown here. 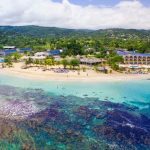 Headed on vacation this summer? Dad needs the S/S Bilateral Shirt! 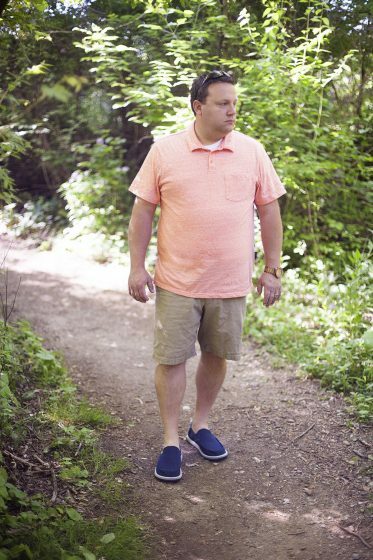 This button down, collared style is so light and breathable making it the perfect beach shirt. After a day in the sun, Dad can throw this on and head out to dinner looking handsome and feeling amazing. The design features two different plaids subtly overlapped, and it comes in four color options. We love the Sea Glass Plaid! This shirt is made of organic cotton and recycled polyester double weave. Pair it with short or pants. Wear it by itself or unbuttoned with a t-shirt underneath. Dad will love this classic style, done better by Nau. Nau is all about making fashion better. And when they seek better, they are seeking better style, better comfort, and better social and environmental standards. Their clothing is better for the person lucky enough to wear it and better for the world. Nau uses better fabrics like organic, renewable cotton, PFC-Free DWR, recycled polyester, alpaca wool, recycled down, and tencel (made from sustainable fibers). To make the world better with fashion, Nau gives away 2% of every sale to their Partners of Change. They help the environment, people in need, and the global economy by giving to amazing organizations like Conservation Alliance, Mercy Corps, and People for Bikes. Demand more from the companies you choose to spend your money with. Shop with Nau and you know the clothing you wear does no harm and actually changes the world for the better. 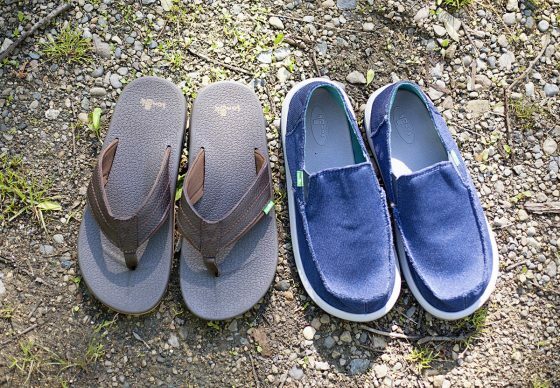 Sanuk sandals are the perfect way to help Dad feel and look cool this summer. 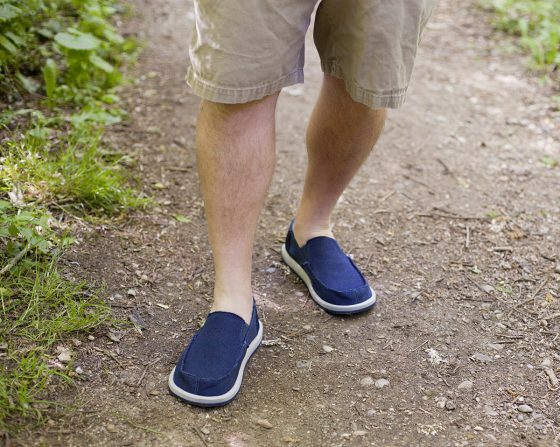 Sanuks are made for dads who want to relax and stay comfortable and casual without looking sloppy. The Brumeister Primo Sandals are men’s leather flip flops with a soft neoprene liner. The sandal is made of molded and sealed Beer Cozy soles and sides for the perfect, comfortable fit. The foot bed is constructed from real yoga mat material, so Dad will feel like he’s walking on air all summer long! 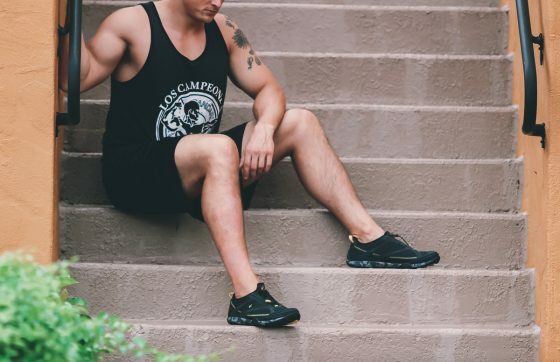 If your dad is prone to committing the fashion faux pas of wearing socks with sandals, help him break the habit with the Vagabond Mesh Sidewalk Surfers. Sanuk refers to its Sidewalk Surfers as “Not-A-Shoe” and for good reason. It offers the coverage of a shoe, but is really a sandal! Breathable mesh keeps feet cool and protected while the soles are constructed in a way that allows feet to bend and flex naturally. Moms aren’t the only ones who need their coffee to be themselves. Dad needs a jolt in the morning (or afternoon) too. Good coffee isn’t an accident. It takes the right tools from a company that knows what they are doing. 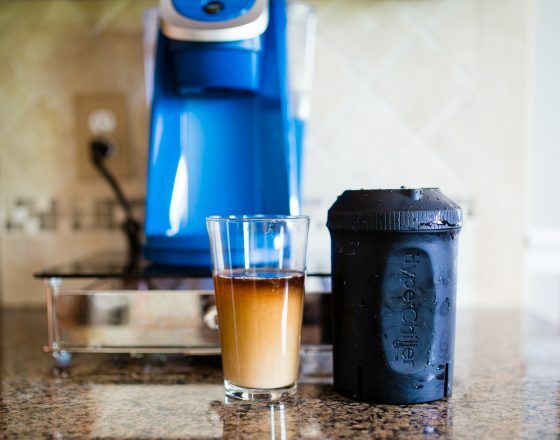 The BrewSense Coffee Maker from Braun is ideal for a groggy parent. Upgrade Dad’s coffee experience this Father’s Day. After all, a coffee maker is something that gets used every day, sometimes all day long. This isn’t a frivolous purchase that will sit in the back of a closet. 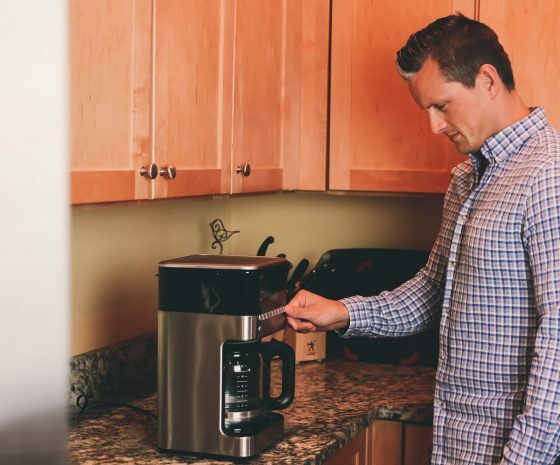 Dad will remember how you invested in him every day when he starts a pot of coffee brewing in the BrewSense Coffee Maker from Braun. 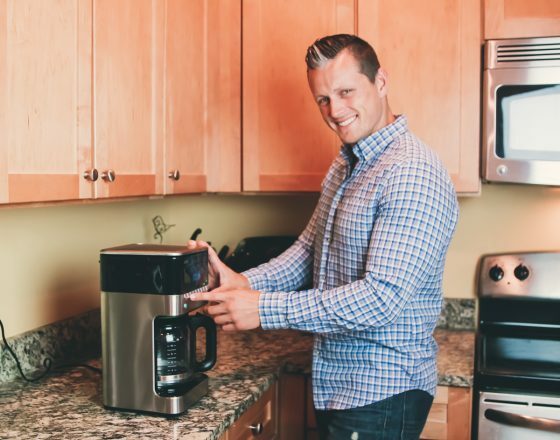 This coffee maker combines the expert knowledge of Braun with thoughtful design and high tech features to give Dad the best coffee brewing (and drinking experience) possible. Braun’s Pure Flavor technology means the coffee will be consistently excellent, every drop. The carafe is amazing. The unique lid minimizes air exposure and seals in the flavor. 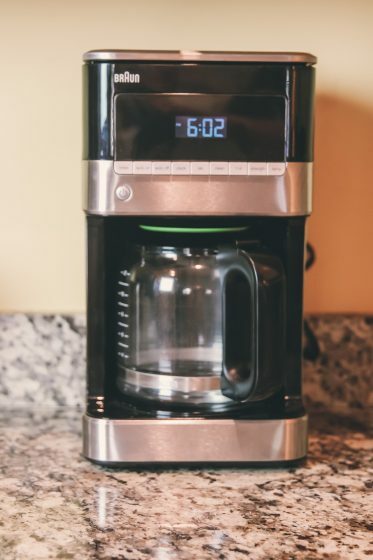 If Dad can’t wait for an entire pot to brew, he can pull out the carafe and pour a cup at anytime and the BrewSense Coffee Maker will stop brewing when he removes it. We said this coffee maker is good for coffee snobs. Here’s why: Dad selects the type of coffee he wants from regular to bold with the Brew Strength Selector. You can also program the BrewSense to start brewing automatically before Dad wakes up. Dad won’t burn the coffee waiting in the pot for him for later. You can adjust the heating plate temperature. Brewing and selecting options is simple with the premium LCD display on the control panel. 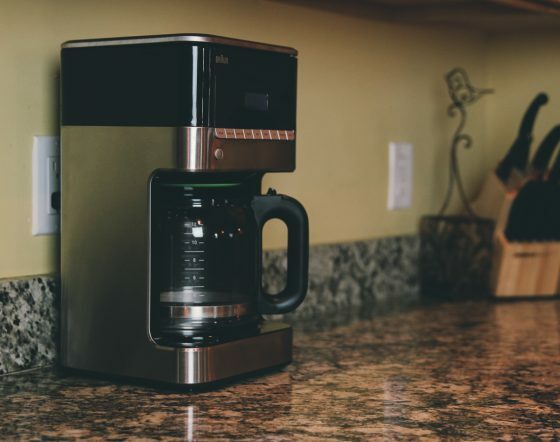 Last but not least, this coffee maker look gorgeous resting on your counter top with its sleek black and stainless design. Braun is an iconic company that creates so many of the necessities we use all the time. They create products for the home, for beauty, and for wellness. Their products are designed to make a difference in people’s lives. Braun is always at the forefront of technology and design, and you can trust them for reliable products that will actually make your days a little smoother. Worried your Father’s Day gift ideas are getting a bit passé? It’s time to ditch the ties, golf balls, and fishing gear and find a gift that’s as unique as your family. Look no further than Cool Material! 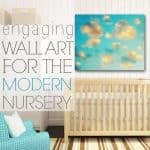 This blog turned e-store specializes in finding creative and enjoyable gifts for the cool dad on your shopping list. Help Dad show off his stylish side at the office by properly pointing the tips of his collar with custom made collar stays. 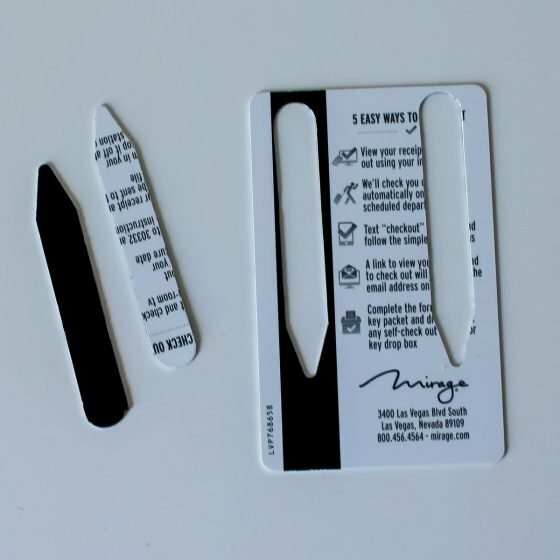 This easy to use collar stay punch allows the kiddos (with a bit of help from Mom) to craft and decorate unique collar stays using expired credit cards, hotel room keys, or any other sturdy plastic you have laying around the house. Collar stays are easy to lose in the wash, so giving him the ability to create more whenever he needs will help save time on busy mornings and ensure that he gets into work both polished and professional. 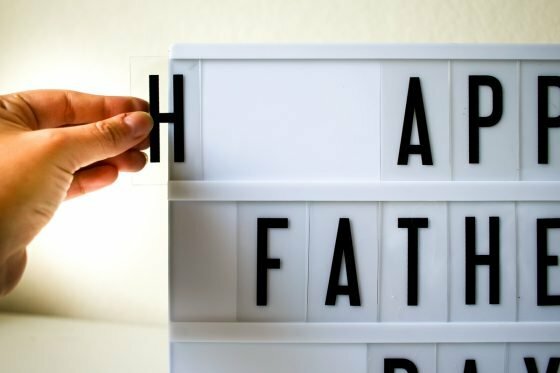 Take your typical Father’s Day card a step further when you write out your holiday message in lights instead. The Cinema Lightbox comes with 100 letters and operates with either a Micro USB or even AA batteries. After the holiday, he’ll love displaying his favorite movie quote, daily wisdom, or just a reminder of what time the kids are due at soccer, on his desk at work. This fun piece of decor will be the talk of the office! 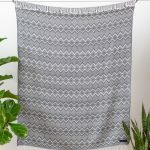 With a goal to go beyond box stores, Cool Material launched their online store focusing on unique and high quality gifts for men. With a wide variety of gifts for any type of personality, they have made finding the perfect item for all the men in your life easy. 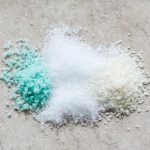 In addition to their online store, the Cool Material blog provides tongue in cheek editorial, like tutorials on how to throw a punch, alongside reviews of the best products on the market. If your dad loves to travel and be outdoors, he will love Matador! Dad won’t want to leave home without the Matador Transit30 Duffle. This duffle allows you to bring an extra bag without having to actually make room for that extra bag. When fully expanded, this ultralight duffle bag has a total volume of 30 liters, but packs down to the size of your palm when empty. And when you get home? Some luggage is a pain to store, but this bag folds right back up for compact storage. But its compactness means nothing if it’s not functional, right? This bag is tough and durable. It’s ready for all adventures big and small. It’s made of a waterproof siliconized ripstop material with taped seams and water resistant zippers. This bag is durable and can withstand all of Dad’s adventures. 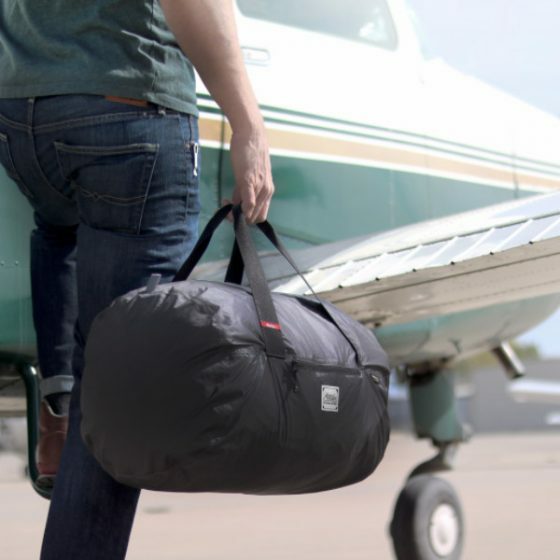 One more note about the Matador Transit30 Duffle: it is the ultimate gym bag. 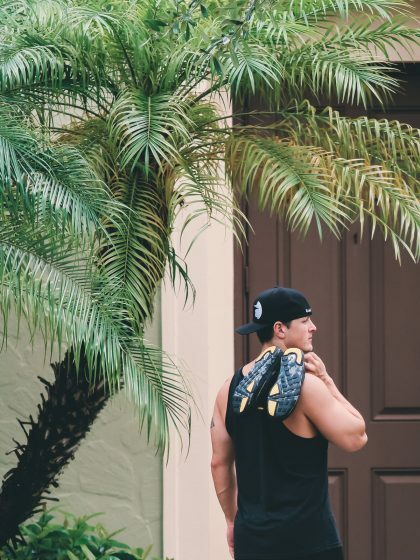 It can hold everything you need for a trip to the gym, and the waterproof material and zippers will keep all of the moisture from towels and swimsuits from leaking out. If you think the duffle is cool, be sure to check out the Matador Freerain24 Backpack as well! 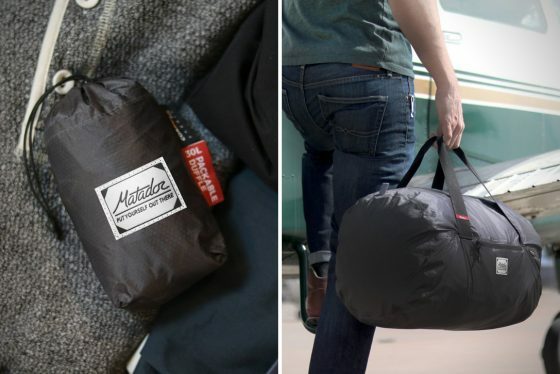 Matador was born in 2014 when they developed the pocket blanket: a blanket that can be spread out for use and then stored compactly. From that a passion was born. 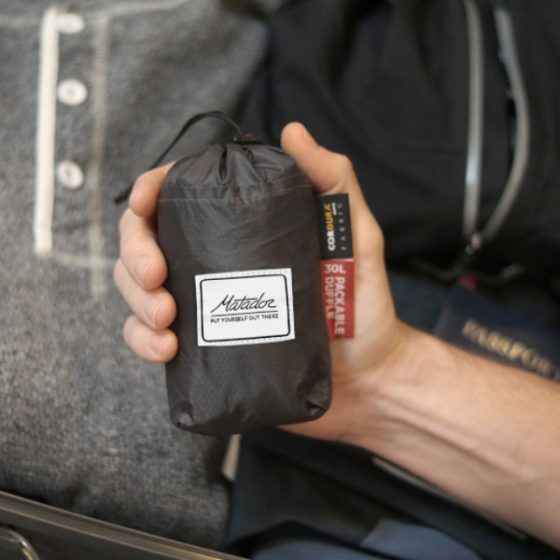 Matador’s mission is to make travels and adventures more convenient by designing and developing packable adventure gear. 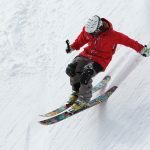 Located in Boulder, Colorado, they use the local mountains, rivers, and plains as their testing grounds. The company has no investors and is funded solely by a loyal customer base and innovative products. Stopping at the coffee shop on the way to work is a big time commitment, not to mention that it adds up quickly and can take quite the hit on your monthly budget. What if Dad could enjoy his favorite cold beverage, without having to do anything fancy, and it will be done in one minute flat? Enter the amazing and unique HyperChiller. Now that the summer months are officially upon us, the idea of enjoying a hot cup of coffee may not hold the same appeal that it did during those cold winter months. Who doesn’t love an ice cold coffee? But, it isn’t always convenient to prepare. Many times, the “solution” is to brew a pot ahead of time, and leave it sitting in the fridge to chill. But then, it really isn’t fresh coffee, is it? The HyperChiller is the perfect contraption to keep in your freezer, and will turn any warm or hot beverage into a chilled delight, in one minute or less. Is Dad not a coffee drinker? That’s okay! Make some delicious sun tea, and it can be enjoyed cold immediately. Or how about some whiskey? Wine? The possibilities are endless, and it’s compatible with all brewing methods. We put it to the test on our favorite bottle of white wine that we didn’t chill, and our wine servings were the perfect chilly temp in about 45 seconds. The HyperChiller is like adding the equivalent of 30 ice cubes to your drink, but not ever having to worry about dilution. 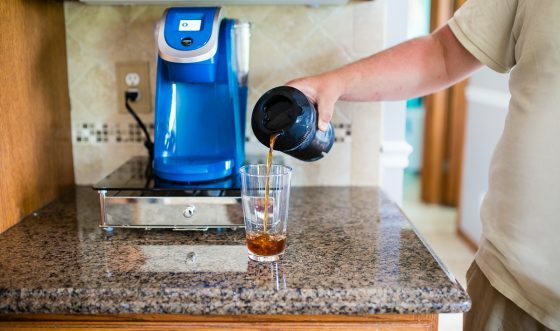 Dad can brew his Keurig coffee directly into the HyperChiller, and be out the door in less than a minute with his iced coffee in his hand. The HyperChiller has three chambers that gets insanely cold, and allows hot beverages to cool quickly, and can also be used a few times in a row. Once you’re done with it, pop it back in the freezer to store there, and it’s ready to use again when you need it. 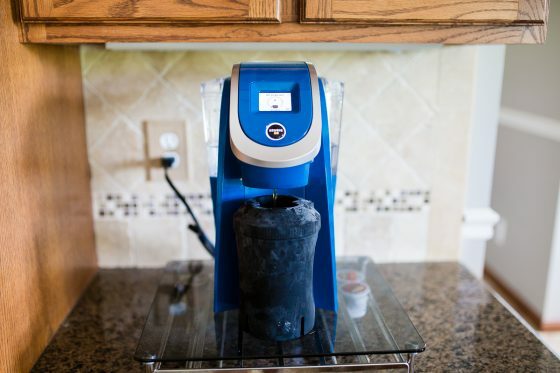 HyperChiller was invented by an iced coffee lover, who tried tons of ways to enjoy his iced coffee at home, from cold brews, to pour-over-ice methods. But nothing was quick and easy enough to do daily. One day when using his cocktail shaker at home to make a drink, the idea for the HyperChiller popped into his head. 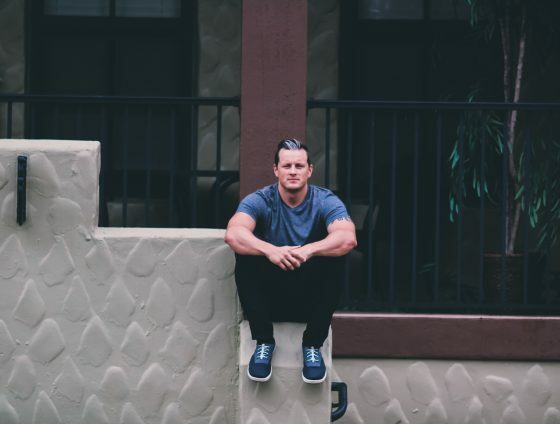 He began working on his prototype, and took to Kickstarter, where his campaign was successful, and since then has been sold around the world, and has been covered in tons of amazing magazines (like Oprah!). 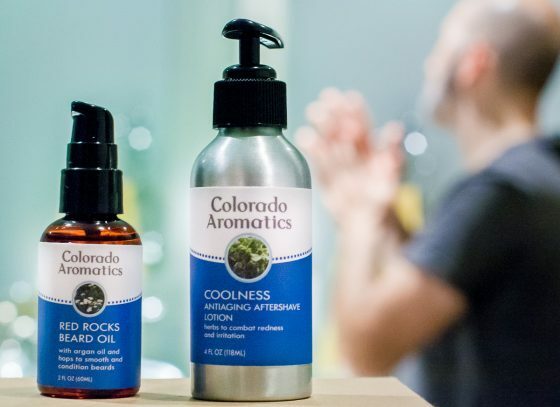 Grooming is a necessity, and the man in your life will love using the men’s products from Colorado Aromatics. The products are made with certified naturally grown ingredients. The combination of herbs and actives will help keep his skin not only feeling good, but also looking great. Their line of products range from Aftershaves to Beard Balms, so no matter if the man in your life shaves frequently or sports a beard, you’re sure to find the perfect gift for him. Coolness Anti Aging Aftershave Lotion is one of our favorites for men that shave frequently. They will absolutely love the cooling feeling they get from the peppermint oil after a nice shave. The unique mixture of natural ingredients when applied will help reduce irritation and signs of aging. It’s a light lotion that quickly absorbs into the skin to keep his skin soft and smooth. 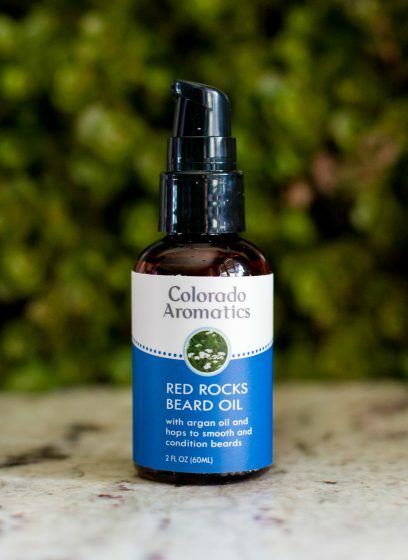 Red Rocks Beard Oil – a staple for any man with a beard. Just apply frequently, and you notice that with regular usage the beard will stay conditioned and feel extra soft to the touch. Unique oils are blended together to give it a warm and spicy fragrance as well as to help keep the beard shiny and the skin underneath healthy. Apply to the ends of your hair on your head to get the full benefits of this product, allowing you to keep both your beard and hair shiny, healthy, and smooth. 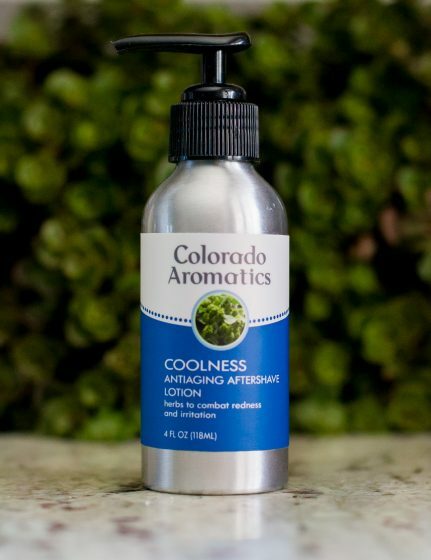 Colorado Aromatics makes high performance, natural skin care products that use the power of herbs and the wisdom of science for peak performance. Their farm-to-skin brand combines the best of traditional herbal remedies with modern scientific discoveries that result in healthy, beautiful, and vibrant skin for the outdoor lifestyle. 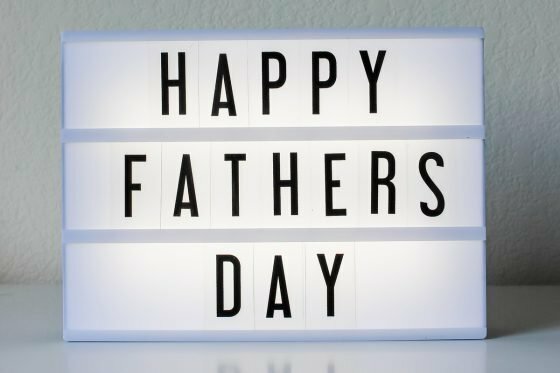 We hope you are inspired to pick the perfect gift for your father this year to thank him for all his support, and to show him how much you really do appreciate him everyday. 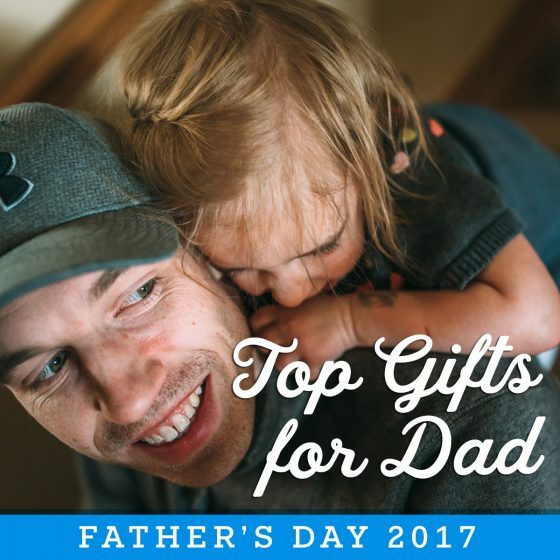 Check out our other Father’s Day Gift Guides for even more gift ideas!